Image: Building a community network in Quilombo Peri Peri. On 29 March, from 9:00 to 10:30 CET, Global Access to the Internet for All (GAIA), a research group within the Internet Research Task Force (IRTF), is having its regular gathering. Their notes will be available here as well as the video livestream of the event here. The 9th International Conference on Communities and Technologies will be held 3-7 June in Vienna and it will focus on “Transforming Communities”. More here. The Network Startup Resource Center has a calendar of technical education and training in network operation meetings all around the world that might be of interest to community network practitioners. Read more. [En español] Hasta el 5 de abril, REDES A.C. de México junto a la Unión Internacional de Telecomunicaciones (UIT) invitan a los colectivos u organizaciones que trabajan en proyectos de comunicación comunitaria y telecomunicaciones en comunidades indígenas de América Latina a participar en este nuevo programa de formación que consta de 5 cursos en línea y un campamento de formación y entrenamiento presencial con duración de 10 días en Oaxaca, México. Leer más. - On 11 April, from 16:30 to 18:15 UTC, APC will host a session about benefits of local connectivity initiatives for gender equity, social and economic development, and viability of community networks as an alternative to connect the unconnected. On 11 April, from 17:00 to 18:30 UTC, Chris Conder, one of the co-founders of Broadband for the Rural North (B4RN), a community network from England, will be giving an online seminar about their story: how it went from an idea to a 5,000-homes community fibre optics network. Read more. 12 April at 23:59 UTC is the deadline for the Internet Governance Forum's call for workshop proposals with with focus on data governance, digital inclusion, security, safety, stability and resilience. Read more. The IEEE Global Humanitarian Technology Conference will take place in Seattle under the theme “Technology for the Benefit of Humanity”, and has a specific track on connectivity and communication in support of development. The deadline for submissions is 19 April and full papers, short papers and poster presentations will be accepted. Read more. The Oxford Media Policy Summer Institute will be held from 4 to 17 August, and the deadline for application is 20 April. It will focus on the theme “Technology & Policy at the Margins”. According to the organisers, “Many, like refugees, Internally Displaced People, those living through conflict, under threat of attack, or under an internet shutdown often lack the ability to advocate for their digital rights or live under regimes that dismiss those rights in part or entirely. This year’s Summer Institute will focus on five key themes through which we will explore many of these challenges to policy and practice, with a particular focus on their effect on populations ‘at the margins’ broadly understood.” Community networks sessions have been announced during the Summer Institute. Read more. Between 29 April and 3 May, the Inter-American Telecommunication Commission (CITEL) will have its 34th meeting in Lima, Peru. CITEL is the telecommunications regulation body for the Americas, and usually discusses topics in relation to telecommunications that affect or influence the capacity for community networks to operate. All the materials are available publicly on their website here. Access Now's RightsCon programme has been released, announcing the event taking place from 11 to 14 June in Tunis, and includes many sessions on community networks, detailed below. Read more. – Public access, local connectivity, libraries: How they can work together and democratize access to the internet. The conference on wireless networks and open source software, Battlemesh v12, has been announced and will be held at “Le 6B”, 6-10 Quai de Seine, 93200 Saint-Denis, France (very close to Paris) from 8 to 14 July. It will bring together people from across the globe who are interested in community networks, including wireless mesh network technologies, fibre infrastructure, Do-It-Yourself Internet Access Providers, and more generally how to create and maintain a thriving community of people involved in building their own networks. You can ask for travel assistance in the registration form. Read more. The Asia Pacific Regional Internet Governance Forum (AprIGF) is receiving workshop proposals until 29 March. The AprIGF will take place 16-19 July at Far Eastern University, Vladivostok. Read more. The Internet Society encourages applications from people who have an interest in deploying wireless community networks for access and development purposes. For any questions, email learning@isoc.org. [En español] El Programa FRIDA de LACNIC seleccionó a dos proyectos de redes comunitarias lideradas por mujeres indígenas en Brasil, tras un llamado realizado por la organización Artículo 19 de dicho país. En su blog, LACNIC comparte una entrevista con Laura Conde Tresca de Article19 quien comenta que se incentivó los proyectos de asociaciones con liderazgos femeninos para “reconocer la opresión de género que todavía está muy presente en la sociedad brasileña”. Leer más. [Em portugues] O Artigo19 no Brasil publicou um relatório sobre uma das comunidades que estão apoiando na implantação de redes comunitárias e tem um conjunto de belas fotos no seu site. Leia mais. [En español] Lilian Chamorro de Colnodo, miembro de APC en Colombia, comparte la historia de la Red Comunitaria RedINC y lo hicieron en relación a involucrar mujeres en el proceso. Leer más. 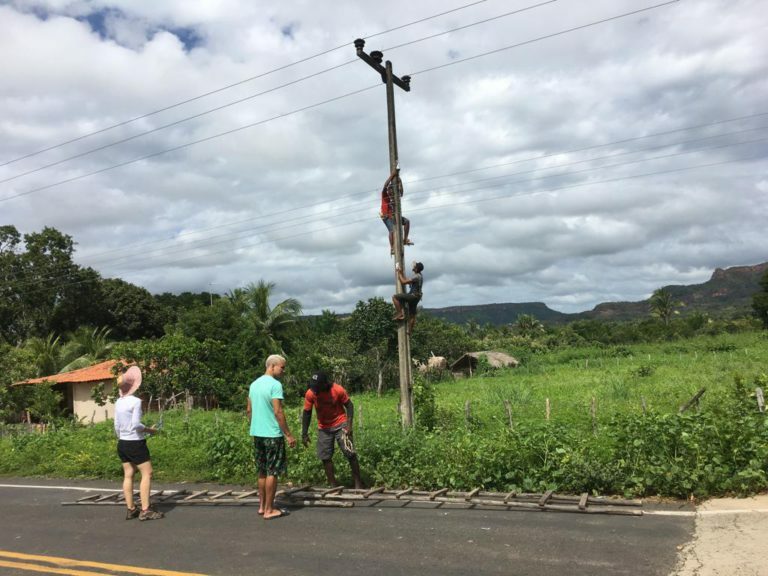 Gabrielle Willms shares a report with reflections from the Internet Governance Forum's Best Practice Forum on Gender and Access on the potential of alternative models of connectivity, highlighting elements specifically related to community networks and gender. Read more. A recent report from the GSM Association, which groups mobile operators around the world, indicates that South Asia is the worst region and Sub-Saharan Africa is the second worst region in terms of the mobile gender gap. Read more. What if women built the internet? A podcast from Mozilla. Listen here. Taking stock: Data and evidence on gender equality in digital access, skills and leadership. Read more. - Episodio 1: ¿Qué son las redes comunitarias? Escucha aquí. – Episodio 2: ¿Cuál es su impacto social? Escucha aquí. – Episodio 3: Marco jurídico e incidencia regulatoria Escucha aquí. 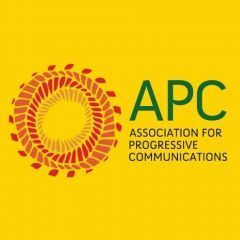 The APC community’s work on access in 2018: Pushing for people-centred communications networks. Read more. The Alliance for Affordable Internet tells us why they think community networks matter to advance internet access for all. Read more. They also share a webinar about community networks that they hosted, in which Luca Belli from FGV, Osama Manzar from DEF, Dudu Mkhwanazi from Project ISIZWE and Jane Coffin from ISOC participated. Watch here. The Scotland-based Balquhidder Community Broadband project reports that their fibre optics deployment project is nearing its final stage, providing Fibre To The Premise/Home (FTTP) to 200 premises. Read more. [En español] Internet Society comparte algunos destacados desde Azacualpa en Honduras, donde se acaba de iniciar una red comunitaria con la ayuda de la Red de Desarrollo Sostenible y del capítulo local de Honduras. Leer más. ISOC highlights the work Deutsche Welle has done in profiling some community networks around the world. Read more. ISOC's North America Bureau Director, Mark Buell, gives us an overview about the Indigenous Connectivity Summit and why investing in indigenous connectivity is important in our online future, along with a set of recommendations that came out of the summit. Read more. New York Ciy Mesh (NYCMesh) shares in a blog post the progress they achieved in March. Read more. They also published this very interesting presentation. Read more. [En español] La corporación colombiana ApropiACYT ofrece una serie de seminarios online sobre promoción de tecnologías abiertas. El último abordó el tema de las mesh networks (redes de routers inalámbricos interconectados) y las grabaciones se encuentran disponibles aquí. Mozilla has published a blog post about their decentralisation sessions at MozFest 2018. Read more. In this article, Koliwe Majama shares how civil society promoted circumvention tools during Zimbabwe's recent internet shutdown, while some mobile operators encouraged the blockade. She calls for more involvement of ISPs on changes in regulation that allow them to restrict their obligation to follow shutdowns, and shows some successful examples of this, the most prominent being the African Union Declaration on Internet Governance. Read more. Google has announced its incursion in the gaming industry with a solution that is cloud-based and (apparently) very demanding in terms of bandwidth and latency requirements. This article explores what this will imply for the networks. Read more. “It's time to talk about Silicon Valley as an imperial force and what has to be done to resist its power”. This article goes deeper on the concept of digital colonialism, addresses the reasons to pay attention to it, and features how free and open source software is relevant in this context. Read more. The European Commission calls for feedback in relation to the possibility to upload software on radio equipment. This directly affects the repurposing of equipment as is practised by wireless network communities, as a tool for equipment experimentation and repurposing in places where the provision can be challenging. The public consultation will take place in the fourth quarter of 2019. Read more. [En español] Una ley sobre tecnologías de información y comunicación se está discutiendo en Colombia en este momento. Su foco en grandes empresas proveeyendo conexión en todos lados, representa un área de preocupación para activistas, ya que dicho modelo ha demostrado ser incapaz de llegar a las comunidades rurales. La Fundación Karismacomenta al respecto y brinda una serie de recomendaciones sobre cómo abordar el tema. Leer más. The government of New Zealand is expecting to allow the roll-out of 5G technologies by 2020, a process that will require allowing operators to use many chunks of spectrum. Meanwhile, the Māori people have been claiming their rights to the spectrum that is used for mobile telephony since 2009, but their claims have not been addressed yet. Read more. [En español] El gobierno de Argentina lanzó un formulario en línea para solicitar el reconocimiento como red comunitaria. Para llegar en forma más sencilla, utiliza la función de búsqueda usando el término “redes comunitarias” en el formulario aquí. The Web Foundation reports that improvements in affordability of mobile broadband have become stalled. Read more. Kurtis Heimrl and Kashif Ali share their “Designing Sustainable Rural Infrastructure Through the Lens of OpenCellular” paper. Part of their research has shown that designing the technical portion of an intervention with a deep understanding of the local context is important to the success of the project. In this paper, they describe four important design choices in the context of the OpenCellular project: platform, power and networks, business models, and customisability. Read more. The European-based community networks research group netCommons issued a Request For Comments (RFC) on its book “Best Practices Guide for Community Networks”. Read more. APC's regulation and telecom consultant, Steve Song, shares how to access his five years’ database on telecom news in Africa. Read more. [Paywall] Constraints on timing and funding usually lead to short-term projects, in which benefits are biased towards researchers rather than the partner community. “Localize-It: Co-designing a Community-Owned Platform” is a paper that seeks to make projects community-owned. It uses a township-based wireless community content-sharing network as the case to share this process. Read more. The investment group INI highlights why the expansion of internet service providers alongside mobile network operators is critical to connecting the next four billion people. Read more. netCommons’ research member NetHood has just released a methodology for participatory design of local applications, which can be used by communities and developers to create tools that fit their needs and ways. Read more. Engineering for Change has released a course on battery fundamentals on off-grid electrification as part of their webinar series. Watch here. You can dig deeper into their courses about mobile data, off-grid energy, engineering and other topics here. [En español/In English] APC's Nicolás Pace has made available a series of short videos about community networks, presented as quick learning pills. Watch here. The LibreRouter open source mesh router has achieved a big milestone after being accepted as an official supported device by the OpenWRT Linux Operating System. Read more here and here. Solve is now accepting solutions to its 2019 Global Challenges and more than USD 725,000 in prize funding is available. Apply before the deadline on 1 July. Community-driven innovation is one of the topics of interest. Read more. The third round of the Catalytic Grant Program by the Digital Impact Alliance (DIAL) Open Source Center will be open for applications until 15 April. It focuses on financial support for free and open source software projects that work at the nexus of humanitarian action, development and peace. These grants are intended to support types of effort that have traditionally been neglected or unfinished by these software projects for various reasons. Read more. IEEE has opened its 2019 round of funding for the Humanitarian Activities Committee, specifically for the Conference Participation Program. If you are an IEEE volunteer and you are doing humanitarian work, you can apply to this fund to attend conferences. The deadline is 24 April. Read more. The Maecenia Fund for Women in Science, Art and Culture is open for applications until 1 May. Read more. UNICEF is looking for a new round of startups for their Innovation Fund, where they invest non-refundable funds up to USD 90,000 in open source technology that supports children. Previous iterations have included infrastructure projects. Read more. NextWorldNow is receiving expressions of interest (a simple six-questions questionnaire) for their 2019 funding round until 31 March. They focus on communal development of solutions that deal with global issues. Among the topics, you can find technical training and computer labs powered by renewable energies. Read more. If you have plans to do a video production about your community network, Filmmakers Without Borders may support you. The deadline for applications is 1 June. Read more. The International Women’s Media Foundation is supporting women journalism with USD 5,000 grants until 21 April. If you are looking for support for gender-balanced journalism initiatives around community networks, this might be your chance. Read more. The International Center for Not-for-Profit Law (ICNL) has announced a call for proposals for its 2019 Advocacy Grants programme to increase use of the work of the UN Special Rapporteur on the rights to freedom of peaceful assembly and of association. Funding support can be up to USD 20,000. Read more. Mozilla is receiving proposals for its 2019 Fellowship Programme until 8 April. Read more. Indela, a partnership between Avina Foundation, Luminate and Open Society Foundations, with additional support from Ford Foundation and IDRC, has launched a call for funding proposals for projects related to strengthening digital rights in Latin America, with a limit per project of USD 75,000. The deadline for applications is 31 March. Read more.